random thoughts...do or "di": Where are We? Mr. Romance and I are off to celebrate our 39th anniversary. I am going to post a photo in the next day or two and the first one to correctly guess where we are, will receive a postcard from me. No fair guessing if you are family or friends and have been told where we planned to go. Just look at these two "babies" home from their three day honeymoon and ready to venture off on a cross-country drive from California to Chicago. Wow, life was so simple. All we owned then was our car, our clothes, our wedding gifts and a hope chest! There was a lot of "hope" in that chest and we have learned so much since then and had so many blessings. You still are cute! Well this is like finding a needle in a haystack but I don`t feel like you have gone too far so I`m going for the Napa Valley. Am I right? Am I right? Congratulations! 39 wonderful years! Don't suspect I'll recognise your destination unless its to Australia!! LOL! Have a wonderful time! 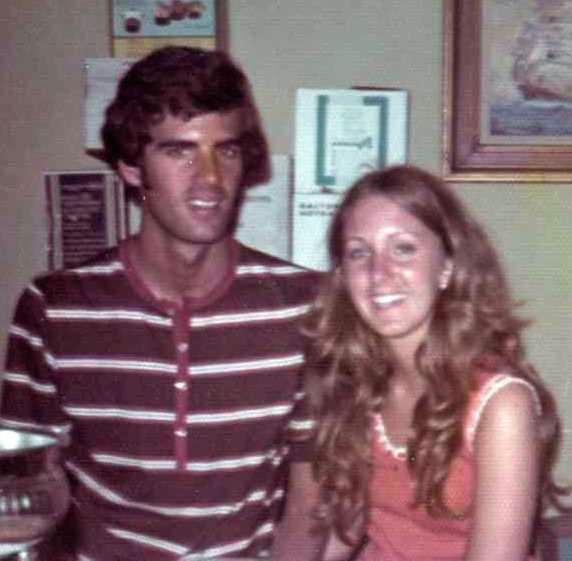 Congrats on 39 wonderful years! Have a great time celebrating. Congratulations and have fun! You both were so cute, but you really haven't changed much! Congratulations Di! Wonderful 39 years. What a great example for your children. My parents are celebrating their 40th this year. Love is grand! WOW! 39 years...what an accomplishment! Happy Anniversary! You've set a wonderful example for the next generation in our family...congrats to you both...you guys looks so cute in this picture...totally unaware of the adventure to come! and the correct answer is..
52 lists, 52 weeks, Wanna Play?